Bernoulli's Principle is not the first thing that comes to our minds when discussing firefighting tactics. However, it directly affects many of our operations. In fire behavior courses we learn about how fire will travel from areas of high pressure to areas of lower pressure. This is the basis of understanding how ventilation and flow paths work. Before we discuss Bernoulli's Principle and how it applies to our tactics let's look at a couple of fireground operations that are affected by Bernoulli's Principle. You were probably taught that ventilation was the systematic removal of hot gases, smoke, etc. This definition led to a general misunderstanding of what ventilation actually does inside of a structure. Discussions in classes often communicated that ventilation cools things down and makes our operations easier. The discussion deserves a little more time in order to clarify. Modern fires are generally limited by ventilation and not fuel. This means that when we ventilate things actually heat up, they do not cool down. However, traditional ventilation still offers many advantages, like controlling the flow path or creating lift from low areas. These are often huge topics presented by firefighters because lifting gases can increase victim survivability. In general when we ventilate a structure we are creating an area of low pressure for the fire to travel to and exit. When we break a window typically the fire will move toward the window you just broke. However, if the window is broken revealing a higher pressure area outside, such as a wind driven fire, you will be opening a new inlet for air to move into the structure. This can cause the fire to travel to another outlet and in many cases creates a very dangerous environment for crews working inside of the structure. Positive Pressure Ventilation attempts to create a significantly higher pressure area inside the structure than outside of the structure. This will force fire and gases out of the structure as they seek areas of lower pressure. This can also create problems by forcefully pushing gases and fire into void spaces that are difficult to detect. Many departments all over the United States use positive pressure successfully but these departments also understand some of the concerns with using positive pressure. 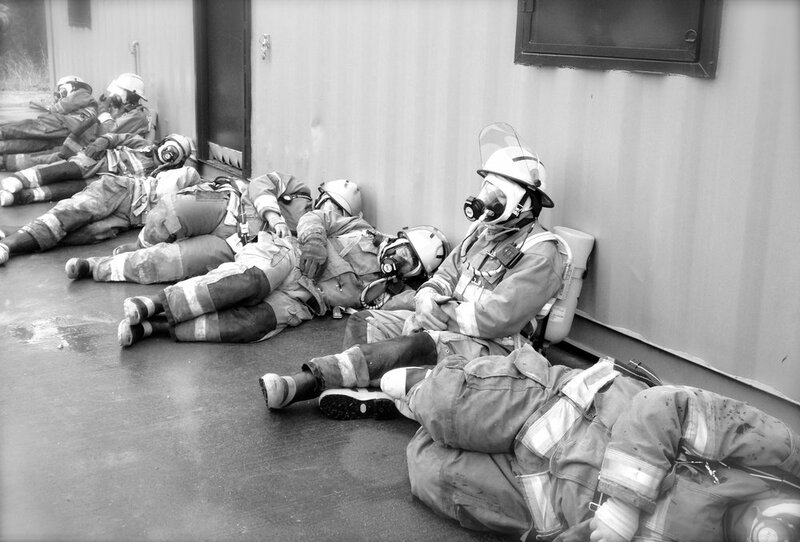 Once a fire leaves a confined area, such as a bedroom, positive pressure can create a chase for the fire attack team. The fire will rapidly seek low pressure and can outrun an interior fire attack crew very quickly. When we use our nozzle we are not only flowing water, we are flowing air. This air can create areas of higher pressure just like positive pressure fans and cause fire to travel towards areas of lower pressure. A nozzle can very quickly over pressurize a room causing the exhaust to push back on the fire attack team. Bernoulli's Principle states "an increase in the velocity of a stream of fluid results in a decrease in pressure". Water flowing from a nozzle will create an area of low pressure and draw even more air into the area you are directing the stream. This is significant when fighting fires in under ventilated spaces or flowing water into a structure from the exterior. In the video below we will discuss Bernoulli's Principle and how it relates to fire attack concepts. As “one of those firefighter Social Media pages” I feel like I should share with all of you why Box Alarm Training even exists. It is pretty amazing to see the sheer volume of Facebook pages now dedicated to firefighting, training, and overall firemanship. I know things can become very cloudy and hard to sort through with this infinitely larger network of firefighter social media. Let me start by saying I believe the vast majority of the members in this network are doing amazing things. They are creating so many opportunities and opening the line of communication to share ideas, research and tradition. So, why are we here? I know it sounds cliche but I grew up with a desire to become a firefighter. You can ask anyone that knew me when I was a kid, my dream never grew out of me. When I graduated high school I knew I wanted to join a volunteer department and I found an incredible department in Oxford, MS while attending Ole Miss “THE University of Mississippi”. I was a member of the Ole Miss Rebel football team and had some incredible opportunities to meet with amazing athletes and leaders including; Eli Manning, David Cutcliffe, Hugh Freeze, Robert Kayat, Jason Cook, Mike Espy, Michael Oher and many more. I learned a lot of life lessons while at Ole Miss and one simple phrase that Head Coach David Cutcliffe used to say on a daily basis was “leave this place better than you found it”. I continue to believe that our mission in the fire service is to leave this place better than we found it. In 2010 I created a YouTube channel with the idea of shooting some simple training videos to help out some local volunteer departments that needed more training resources and couldn’t afford some $1,000 dvd package… So, I shot a few videos and before I knew it I was receiving messages from all over the world asking for more. It completely blew my mind and to this day I am amazed at the ability for some form of technology to change the way generations learn about firemanship. The absolute number one goal of Box Alarm Training is to provide training resources to all firefighters regardless of their budget, level of experience, or whether they are career or volunteer. After running the YouTube channel for awhile I decided to expand the channel to an actual training company so that we could grow. We have added a new website with more resources, a Facebook Page, and have several guys that have helped contribute on the site. In no way, shape or form do we claim to be the experts in all things fire and rescue. However, I firmly believe we can find the guys that are. I have been working hard at finding some other guys to contribute with more material and I believe I have some really good ones lined up. I thank you for all of the support you have given us. Every time you like, share or comment not only gives us confirmation that we are doing the right things but also allows us to reach more firefighters and that makes a difference. I thank you for the support and feel free to shoot us a message or recommend a new training video. We are always open to new ideas. Let’s leave this place better than we found it. Dead Ringer - a person or thing that seems exactly like someone or something else. I want you to really evaluate if "WE" are actually that different from one another. Last time I checked the vast majority of fire departments in the United States perform the exact same functions at every single fire. Whether you pull up to a single story residential structure fire or a high-rise with fire on the 20th floor you must perform the same functions. Will you need more equipment and more manpower? Absolutely, but the same functions must be performed regardless of the size of the fire or complexity of the fire. The "functions" I am speaking of are Fire Attack, Water Supply, Ventilation, Search and Rescue and Overhaul. I often reference other departments when teaching and discussing tactics because we have so much to learn from each other. For example: When the FDNY arrives on scene of a residential structure fire they perform Fire Attack nearly the exact same way as every single fire department in the country. They stretch a hose line with an engine company and they put water on the fire. Do they use 47 firefighters to move the hose? Nope. They use the firefighters on the engine to take the initial attack line to the fire. However, while many of us work with limited staffing to complete the other complimentary functions (ventilation, search and rescue, etc.) the FDNY has the ability to perform these functions much more quickly or even simultaneously because of their response size. If you are on a smaller department you still have to perform the same functions as the big guys you just have to prioritize when and how you are going to accomplish those functions. Hose lines get stretched at every fire! Ventilation takes place at every fire! Water Supply is a priority at every fire! Search and Rescue is of utmost importance at every single fire! Get out and practice these functions! Do not try to justify your inability to execute by trying to distance yourself from other fire departments or tactics. We are much more alike than we are different. Learn from each other and move forward together. We all need the practice regardless of where our current competency levels are. I am learning more and more about many skills that I once believed to be simple and automatic. I used to stretch hoses without evaluation, throw ladders without purpose and even search without confidence. Study the craft of firefighting, learn about yourself, your crew and your responsibilities to the ones we serve. Do not Train to Learn, Drill to Master! Is it just me or has our culture in the fire service moved from a group of men that strived to be the best at what they do to a group of men who strive to document what they could do? In our world of litigation and insurance rating classifications we put pen to paper to document everything we do just to "benefit" from the "training hours". We have seen a shift off center for years that has slowly eroded our fundamental training process. That process is called drilling. What used to be called the drill field is now being called the "training facility" or what used to be simply called the "dressing drill" is now an elaborate check box skill with grading criteria called "Donning and Doffing PPE". I talk with training officers and instructors often and there always seems to be a common theme, "What are some new training ideas we can use?". We constantly feel like we have to come up with something new and improved to create a positive learning environment. The true fact is that practicing the fundamentals on a regular basis will get you much further than anything else. It's great if we can all perform technical rapid intervention skills like bail-outs and lift-outs but if we struggle getting an attack line in place within a reasonable amount of time than we are really putting the cart before the horse. I was very fortunate I had the opportunity to play collegiate sports and had the ability to see the inner workings of high caliber athletic programs. The teams you see performing at the highest levels practice their fundamentals everyday. Without a strong foundation of bread and butter skills you are really not giving yourself a fighting chance when it comes to the audibles you need to call on the fire ground. Andy Fredericks has a great quote that I believe really hits home on this topic which is "If you put the fire out in the first place you don't have to jump out of the windows". If you are struggling finding things to train on or using the excuse that you do not have a dedicated training facility just get up and go flow some water. Pull your attack lines and talk about how you can deploy them, feel the nozzle reaction of a properly pressurized nozzle and what an under pressurized or kinked line will feel like. Practice carrying and raising your ladders because the next time you use them may be to rescue a civilian or even one of your own. The bottom line is PRACTICE! It may not be the sexiest training you get to be a part of but when the time comes it will be the most valuable training you were a part of. I have heard people in fire and rescue refer to Generation Y, as “generation why?” Sometimes these statements would come down in condescending ways from senior officers on the department. It was usually in reference to the Generation Yer’s asking why a job needed to be done. At least in my case, the senior guys typically misunderstood my intentions. What I was actually doing, instead of complaining or being insubordinate, is trying to understand the end goals and purpose of a job-so as to maximize the outcome and efficiency. We are the generation that changes their email passwords on Outlook, help insert functions into Excel, and a host of other daily tech solutions- so maybe we can come up with a better way, faster way, or more positive outcome. –But not necessarily by blindly following orders. In other words- asking why is not a bad thing. In fact, its what I contend rescuers should do more often. Generation Y is generally considered to be those born during the 1980’s and early 90’s. Stereotypes for Generation Y include laziness, a sense of entitlement, and requiring praise. In actuality this demographic is very “tech savvy” (think gear), ambitious, family oriented, and are team players with good communication skills. The latter are desirable characteristics, but the “why” and the questioning is a characteristic that should transcend all generations on the job. So let’s set the stage for this reasoning. . . Question Everything! Consider that an order. Not at the wrong time. Not during an emergency. Not in an insubordinate or disrespectful way. Remember your station in the department and be always humble. Asking why we do something is the first step in understanding SOP/SOGs, our history and the mechanics of the problem. I have little patience or regard for statements like “Because we have always done it that way,” “Just because I said so,” The words “always” and “never” used too liberally in rescue. And finally the perpetual get-out-of-jail-free words. . . “for safety” -without due explanation. There are answers out there. Rescuers must seek them out. One might start at the station or home front. The next source may be on the web, in books, or videos. Let’s also focus on the instructors: if your instructor cannot satisfactorily answer “why,” then you need to find a new one or seek knowledge elsewhere. There are allot of hacks and parrots out there that are mass-produced and label themselves instructors. Instructors aren’t supposed to know everything, but a good one will admit that, and know how to find the answer to your question. In the next article, we will examine some rescue "why's?" that will generate some spirited debate around the day room. We won't cover each topic exhaustively, but we will open the door to some research and critical thinking. You can download or print a PDF copy of this article by clicking here. Check out this helmet cam footage from the Mississippi State Fire Academy during a recruit class Night Burn. This is filmed from a helmet cam attached to an instructor during the LP live fire training for the NFPA 1001-I-II basic recruit course. During the evolutions students learn to control and isolate valves for LP fire events and also fight a simulated vehicle fire. You will see a highlight reel from three different burn props; the Vehicle Fire, "Christmas Tree", and the Pump Flange. Video was shot with a Fire Cam Mini HD helmet cam. The footage you saw was filmed at the Mississippi State Fire Academy's LP Live Fire area which consists of five large concrete pads designed specifically to prevent environmental contamination. These training areas include: a fifty foot flowing fuel fire (LP gas Christmas Tree fire); LP gas tank fire; LP gas tank fire; pump seal fire; twenty foot vertical tank fire with exposures; horizontal tank fire with an exposed small tank truck; and a three story evolution simulating a chemical processing plant fire. The Mississippi State Fire Academy is located just outside the capitol City of Jackson in Rankin County, Mississippi, on eighty five acres. The Academy features a Fire Research Building which simulates a three-story residential structure with an attic, and a commercial structure with a basement. The building contains over 4,000 square feet of training space and is equipped with five computer controlled fire/smoke rooms and a Class A burn room with a liquid propane gas fueled fire simulator. A four (4) story drill tower is also attached to the burn area. The campus also features a five-story Drill Tower which provides opportunities for high-rise ladder, rope and firefighting operations. In addition to this tower, there is a communications tower erected for training purposes. There is also a Hazardous Materials training site consisting of a large train derailment simulation with eleven cars. Railcars are movable and the training site is piped with liquid/vapor propane for simulated fires and leak simulators. The next gallery features several innovations that we saw at the exhibit halls. You will see an assortment of interesting products and design ideas. On Friday night we attended the Firefighter Turnout hosted by Paratech Fire & Rescue Equipment, Amkus, TECGEN XTREME, Black Diamond Fire and Fire Cam Police and Fire Cameras. We had a blast and had the opportunity to meet several fire service social media giants and product designers like Rhett Fleitz (The Fire Critic), Willie Wines Jr. (Iron Fireman), Andrew Catron (Model City Firefighter), Isaac Frazier (Tactical Advantage Training), Paul Hasenmeier (First Due Tackle) and Rob Shield (Fire Cam). Thank you to all we met and we hope to meet you again soon. This is a very good video put together by Peoria Fire Training. The video details a strip mall fire on 99th Avenue just north of Peoria in Arizona. Take a look at the video, share it with others, and take a look at some of the information below. As firefighters we often face a multitude of decisions that need to be made at a moments notice. This situations are very hard to prepare for on the spot, they must be churning in your mind before they happen. Fundamentally what we do at a structure fire hardly ever changes. However, the situation we are faced with is never the same. We must rely on those fundamental play calls that every department should have down to a science. Then when we encounter extraordinary situations we have the ability to audible to a solution. So, if we have the plays mastered and we have rolled scenarios through our minds prior to the incident then our primary focus should be to recognize the blind side that can come at any moment. All other functions on the fireground should be fluid and understood so that we remain open to audibles and call them when we need to. Hats off to the Peoria Fire Department for sharing this information. 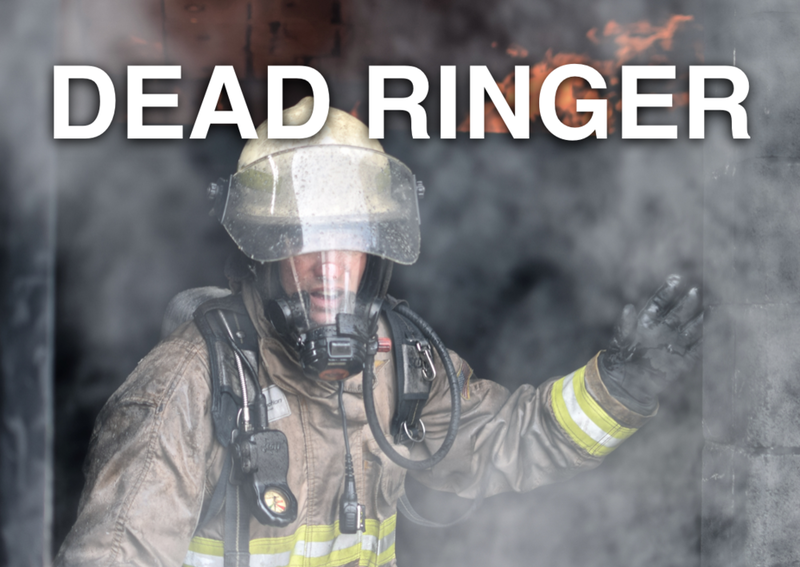 With training videos like these thousands of firefighters can learn from their experiences and recognize those red flags that are present on many of our day to day incidents. Calling the MAYDAY! Are we doing it correctly? Are we calling the MAYDAY correctly? Most firefighters have been trained to use a MAYDAY procedure of some type. Most of these procedures involve knowing the steps necessary to transmit a message via radio. Calling the MAYDAY has been related to a fighter pilot’s parameters for ejecting from his aircraft. Firefighters are put into positions that are inherently dangerous. We train to perform under these conditions and we must also train for when things go wrong. We have seen many different acronyms and MAYDAY procedures throughout the years but most still rely on a set list of information you are supposed to report when you need help. In general we rely on the firefighter with the emergency to report this message and to give us the information we need. The question is should we put the responsibility of providing all of the information on the firefighter with the emergency? Let’s evaluate our process first and then address the question. When do we call a MAYDAY? Anytime you experience a fall you should initiate a MAYDAY. Anytime you experience a collapse you should initiate a MAYDAY. Anytime you are entangled you should initiate a MAYDAY. Anytime you are disoriented, separated or lost you should initiate a MAYDAY. Anytime you become trapped you should initiate a MAYDAY. The common discussion that arises from the above is that we often experience very minor falls, collapses (sheet rock), etc. Should we initiate a MAYDAY every time that happens? This is why many departments have implemented a 30 second rule. If you can correct your problem within 30 seconds then you do not have to call the MAYDAY. This is a legitimate guideline for most departments. How the traditional MAYDAY procedure is performed. The firefighter needs to give his or her location. The firefighter should identify him or herself by their radio designation or company. The firefighter should include his or her name in their radio transmission. Depending on the department you will see the “A” listed as your assignment, your remaining air or both. The firefighter will request what he or she needs. What is an alternative method? The most important thing a firefighter can do when faced with this situation is to call for help. If a firefighter does not initiate a MAYDAY he or she will not receive any help. I first heard an alternative method from Chief John Salka. His theory is fairly accurate. Shouldn’t the firefighter just tell us Who, What and Where? If the firefighter gives us that information then the officer outside the structure, who is in a much less stressful position, can ask the appropriate questions to get more information. We need to ensure that we not only train firefighters on MAYDAY parameters and procedures but that we also have a plan put in place to help a firefighter should this situation arise. It really doesn’t matter how good you are at calling MAYDAYs if your department doesn’t have a plan in place to help you. This requires you to train, discuss, communicate and address the issues you might have with calling the MAYDAY. What is your Game Plan? What is your Game Plan? The scenario is posted below and comment in the comment box beneath the post. #1) Will you lay in your own supply or does your department typically utilize the second due for this? #2) What size/length attack line(s) will you stretch? #3) What type of ventilation will you use, who will perform this function and when? #4) Will you perform a Primary Search and if so who will perform this function? #5) Do you see anything interesting about the construction of this structure? Feel free to elaborate on the way you would attack this fire and any department SOP/SOGs that determine your tactics. Prior to making entry into any structure fire you need to have a quick checklist to complete. This needs to be routine and automatic with the process feeling second nature and never skipping a step. Performing this checklist before every entry, even those that seem mundane or "routine", will help eliminate mistakes that could get you injured or killed. Although there are many steps to perform before deciding to make entry and what tactical objectives you have we are focusing on the moment just before you enter the door. We use the simple steps of DOOR, WATER and AIR. Take a look at the video below and let us know what you think in the comment section. You will also find this video located in our "Videos" section of the website. A friend of mine taught me this tip a long time ago and I have used it ever since. Many people who work around rope on a regular basis will mark their equipment with color coded tape. This helps you identify who the gear belongs to. Also, if you tape a carabiner you can tape the spine toward the gate opening end. This way when you reach to grab a carabiner with one hand you will know which way the gate opens. This is extremely helpful on symmetrically shaped carabiners since it is hard to tell sometimes. The above Carabiner is a pear shape and you can tell that the tape mark indicates the gate opens directly across from the tape. MS Fire Net is now Box Alarm Training! In 2010 we started a YouTube channel called MS Fire Net. This channel had training videos for firefighters and emergency responders. We have now expanded this idea in order to deliver courses to all of our viewers. We are now Box Alarm Training, and we are very excited to announce that we will now be able to deliver courses at your own department.